2017 Finalist. The project title is, "Text-to-Sign: English Text to American Sign Language," completed by GUPTA Akanksha, ARSHAD Mohammed Arslan, FESCI Onur, and BORAR Sheetal. One of the Best Final Year Projects (2017/2018) in the Department of Computer Science and Engineering, HKUST. 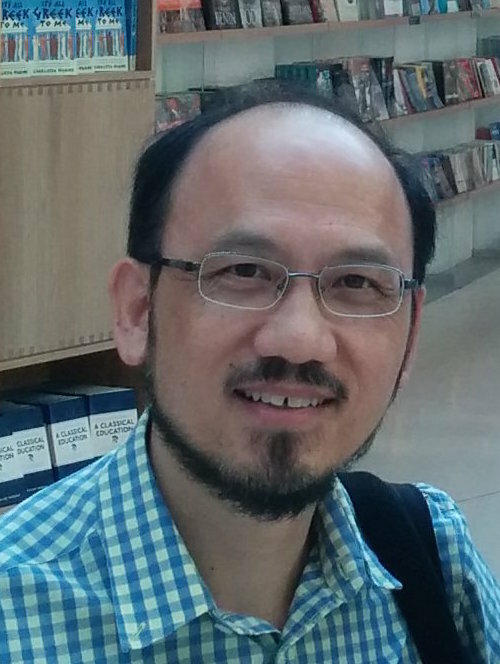 The project title is, "Project Zamplify - A Sound Recognition System for Context Awareness ," completed by CHENG Kok Hang, CHEUNG Tsz Him, KWOK Hin Kwan, and SHIN Wai Ching Martin. One of the Best Final Year Projects (2016/2017) in the Department of Computer Science and Engineering, HKUST. The project title is, "English Text to Sign Language: ASL Synthesis ," completed by ARSHAD Mohammad Arslan, BORAR Sheetal, FESCI Onur, and GUPTA Akanksha. One of the Best Final Year Projects (2015/2016) in the Department of Computer Science and Engineering, HKUST. The project title is, "Using the Leap Motion Controller to Translate Sign Language to Speech ," completed by CHEUNG Yat Laam, LEUNG Ka Chun, TAM Chi Yan, and TO Wun Yin. 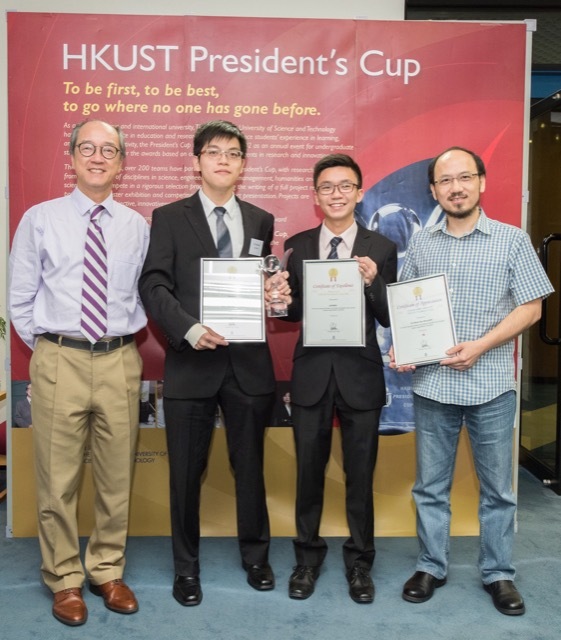 One of the Best Final Year Projects (2014/2015) in the Department of Computer Science and Engineering, HKUST. The project title is, "Turn any Computer Screen into a Gesture-assisted Touch Screen Using a Leap Motion Controller ," completed by LEVIERO and Andrianto LIE. One of the Best Final Year Projects (2013/2014) in the Department of Computer Science and Engineering, HKUST. The project title is, "Learning Tai Chi with the Help of a Kinect Device," completed by SHAM Kwok Tung, YIP Man Ho, WONG Yin Yeung. One of the Best Final Year Projects (2009/2010) in the Department of Computer Science and Engineering, HKUST. The project title is, "Camera-based Interactive Wall Display," completed by SIT Chu Wah, SIN Kwok San, and LUK Tsan Kwong. First Prize in the 6th Final Year Project Competition (2009) organized by the IEEE Hong Kong Computational Intelligence Chapter. The project title is, "Optimal keypad solution for 4-key to 16-key devices from WAVE approach," completed by HONG Wa Lun. One of the Honorable Mention Final Year Projects (2004/2005) in the Department of Computer Science and Engineering, HKUST. 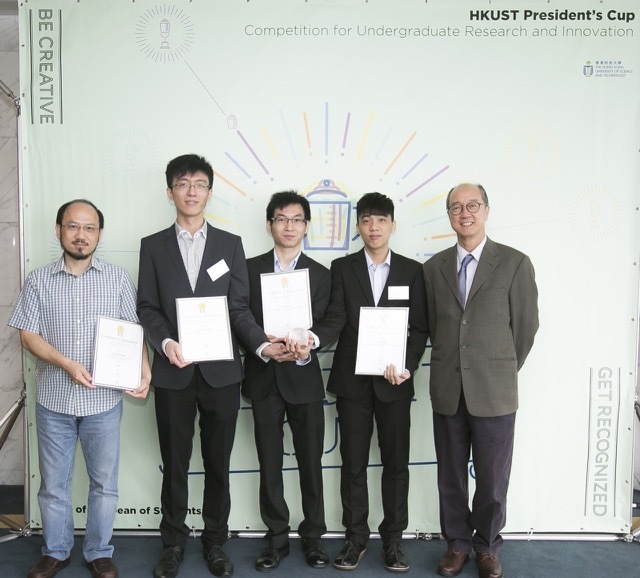 The project title is, "A Mobile-phone Activated Passenger Route Guidance System for Multi-modal Public Transport Network," completed by HO So Ling and KWAN Hoi Yee.